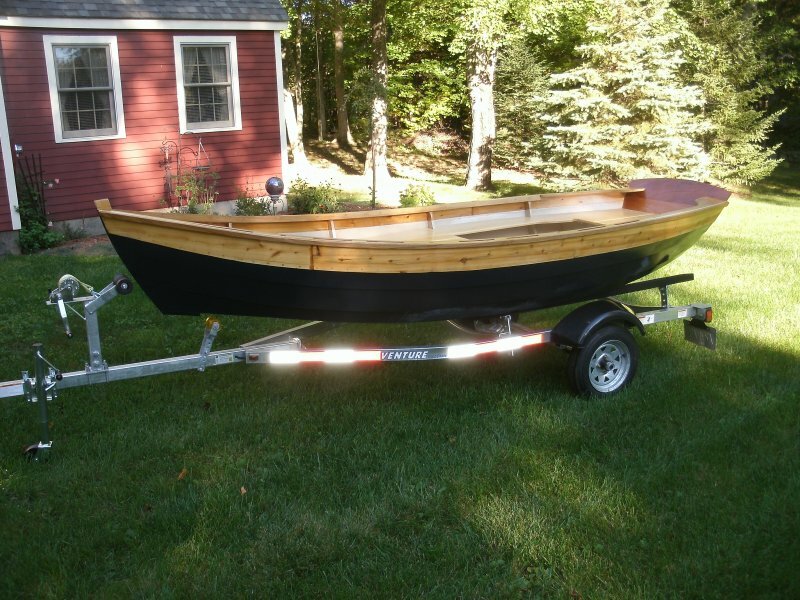 Peter Baldracchi recently built this 14′ dory skiff in a class at Lowell’s Boat Shop in Amesbury, Massachusetts. 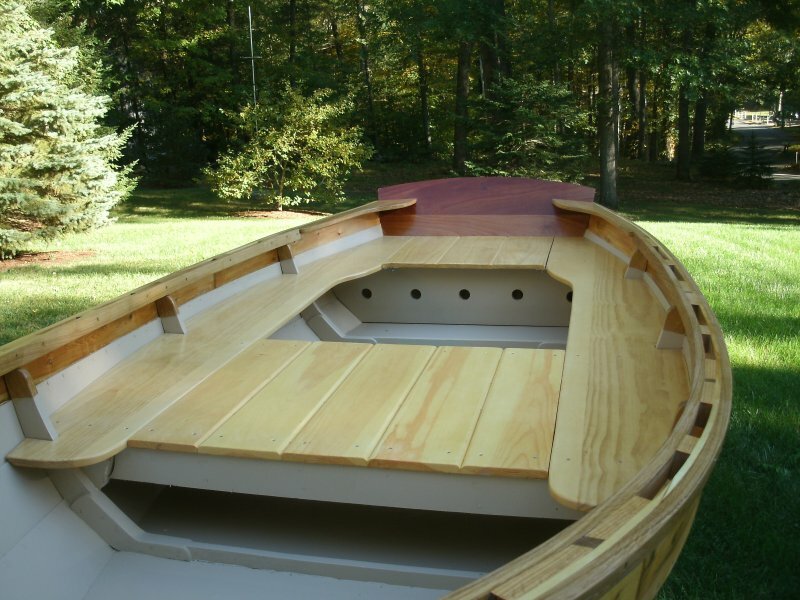 There’s a storage compartment under the sternsheets and room for gear and a couple of friends. 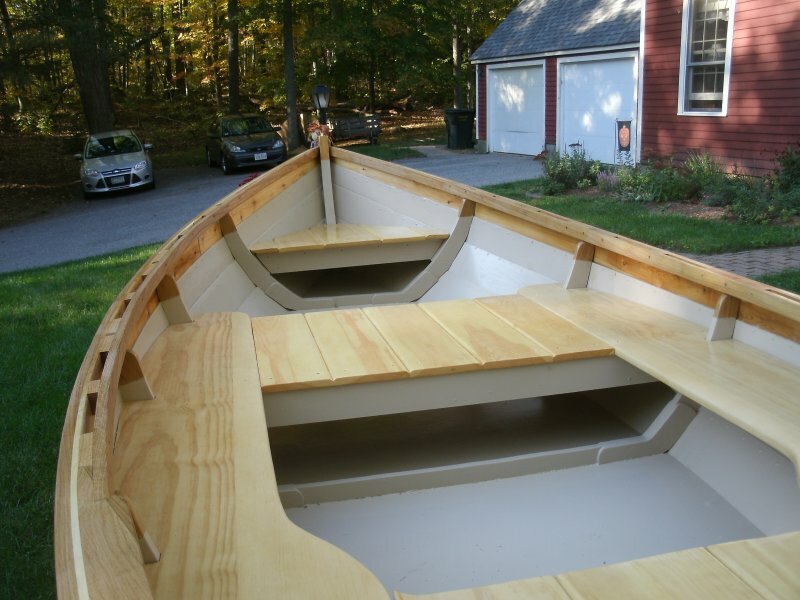 The light grey interior, varnished seats, and dark hull make for a handsome boat.